Its really that simple. You will receive a 12oz bag(s) of your choice once a month or every 2 weeks depending on your selection and be billed automatically. We roast our coffee in small batches on a weekly basis in San Diego, CA. All orders ship on Thursdays via 2-3 day priority mail so your coffee will usually arrive on Saturday or Monday if you are on the East Coast. You can always log into your account and manage your subscription and cancel at anytime. Feel free to change up the coffee or the frequency. You can alway get your coffee delivered every 2 weeks if you find once a month is not enough. In addition, we have 2, 3 and 4 bag subscriptions. 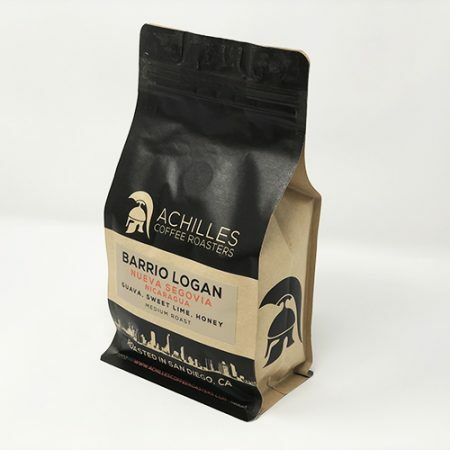 All subscriptions include shipping so you can drink coffee like a Warrior. 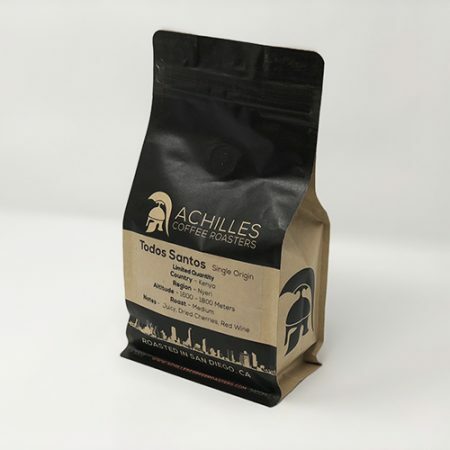 Our craft coffee subscription with one bag is for the light coffee drinker or those who just need a bag around in case of a coffee emergency. For example, its midnight and you have an exam in the morning. Your favorite local coffee shop is closed and you need to burn the midnight oil. 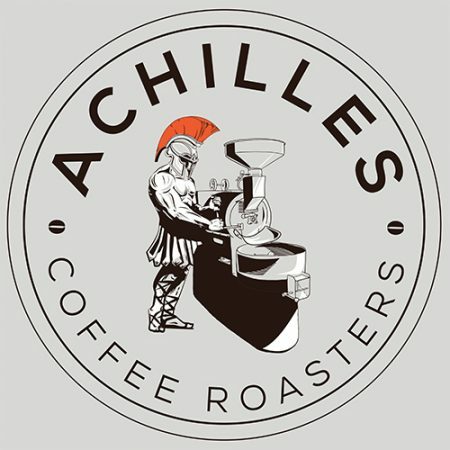 No worries, because you have a bag of Achilles Coffee. Our 1 bag craft coffee subscription makes a great gift for the coffee drinker in your life. So surprise them with a bag of Achilles Coffee shipped to their door every month or every 2 weeks. Its easy, check out like you normally would and simply have the coffee shipped to an alternative address.